In one of our physician leadership training modules, we show the video of the 1963 civil rights march on the nation’s Capitol with the keynote speech of Dr. Martin Luther King. It is easily accessible on YouTube (search for “MLK’s I have a dream”). The video has an incredible personal meaning for me. I remember watching the speech with my dad (he actually took the day off from work!) on our black and white RCA with its never quite focused rabbit ears, looking for faces in the crowd of friends whose parents allowed them to attend. Washington DC at that time was still very much a southern town and my overly protective parents were not willing to risk sending the center of their universe forth to do battle with the rednecks threatening to violently shut down the march. Most physicians in our listening audience, however, while aware of the speech, have not actually seen or listened to it. (It is always a sobering task to ask for a show of hands from the physician’s participants of those who weren’t even born in 1963!) Their reaction, while not attached to personal memories of the speech, is no less profound. We then deconstruct the speech focusing on the qualities and traits of leadership. Racial integration in the 60′s was recognized by the majority of Americans as the only way to fulfill the American principle of equality so eloquently stated in its Declaration of Independence. Integration’s implementation, however, had a set of obstacles thought by most too difficult to “overcome”. The separate but equal culture of American society had been in place for a hundred years. Federal versus states rights had a set of rigid borders resulting from a verbal battle of our founding fathers and an intensely violent civil war. Racism was reinforced by legal statutes and conservative interpretation of Biblical scripture…. 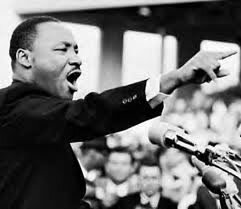 Fortunately, we had a leader and he, as all great leaders, had a “dream” and the leadership skills needed for its fulfillment. The time for racial integration was the 60′s, the time for healthcare integration is now. The missing ingredient is a cadre of physician leaders with a “dream” and the leadership skills needed for its implementation.